Dan Seals (brother of Jim Seals of Seals & Crofts) and John Ford Coley had a string of Raspberries-like pop rock hits in the '70s, most notably "Nights Are Forever Without You" and "I'd Really Love to See You Tonight," with which the band is all but inextricably linked these days. 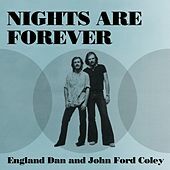 With a trajectory similar to that of Seals & Crofts, the first three England Dan & John Ford Coley records failed to chart, but their fourth album, Nights Are Forever, shot the band into years of near-constant rotation on '70s radio. 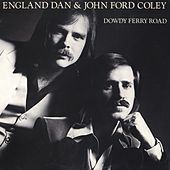 In some ways England Dan & John Ford Coley's lite but decidedly organic balladry paved the way for '80s stylistic (but more synth-heavy) followers Ambrosia; at times, the two are nearly indistinguishable (see England Dan's Utopia cover "Love Is the Answer"). After the pair stopped recording together in 1980, Dan Seals launched a successful country music career, regularly charting throughout the '80s.